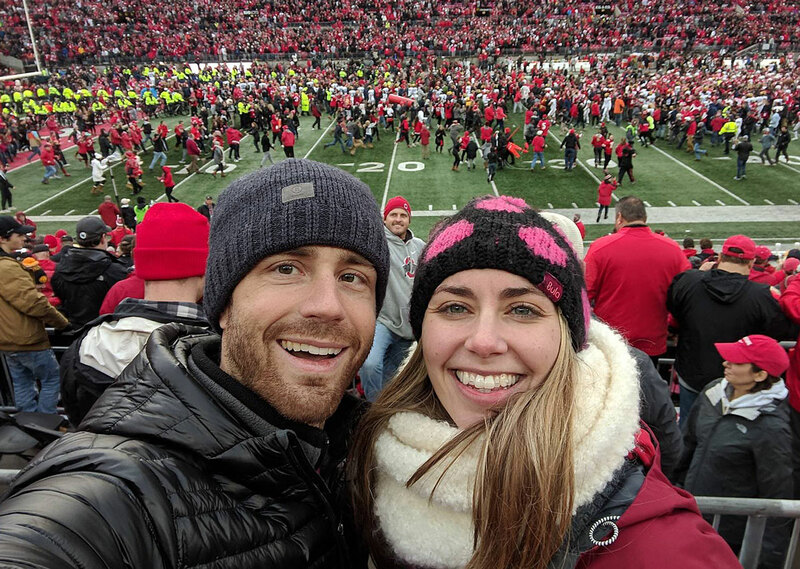 After an uncomfortable win against Maryland where Ohio State’s defense failed to show up … this week in the big 10th ranked OSU vs 4th ranked Michigan rivalry, both the defense and offense performed for the Buckeyes and their fans at the Shoe. Besides a few mistakes and penalties costing the Buckeyes points (fortunately they could afford), Ohio State definitely dominated the Wolverines the entire day. That was good news for Katelyn and Drew who headed to Columbus. Besides being damp and cold, it was a perfect day to end Buckeye season.